Blythe Valley Park owners, IM Properties, have teamed up with Marie Curie’s West Midlands Hospice in Solihull to help fundraise for the charity during 2017. With the aim of initially raising £7,321, which is the amount needed to keep the hospice running for 24 hours, IM Properties are planning a series of initiatives at the business park at junction 4 of the M42, to encourage occupiers to lend support. The Marie Currie £7m state-of-the-art West Midlands hospice, which opened in January 2013, provides palliative care for people with terminal conditions, including cancer and motor neuron disease. 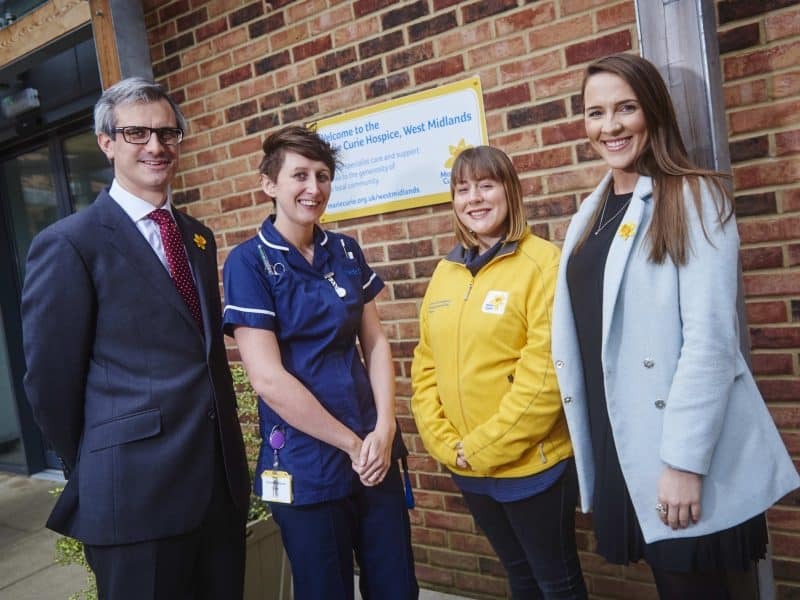 “We provide an invaluable service to the local community, providing specialist care for around 2,000 people, who are living with a terminal illness, and their families every year. “The support from local companies is vital in allowing us to carry out our work, and to help more people at a very difficult time in their lives. 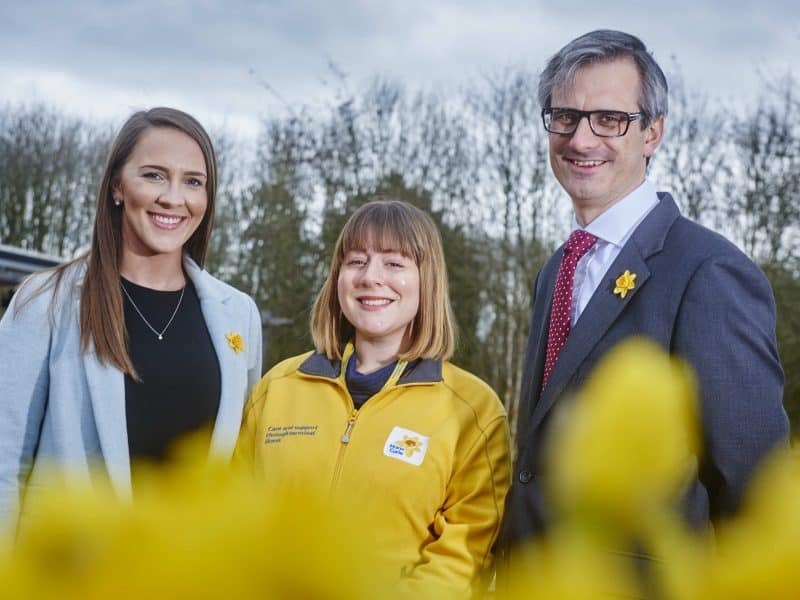 To raise awareness, Marie Curie Daffodil Appeal boxes are being made available for occupiers to place in their reception. Lewis Payne, Development Director from IM Properties said: “We have always encouraged a sense of community at Blythe and know occupiers will get on board. We have discussed the Marie Curie support in our regular social committee meetings, and our tenants are excited to get involved with the events and initiatives we have planned.